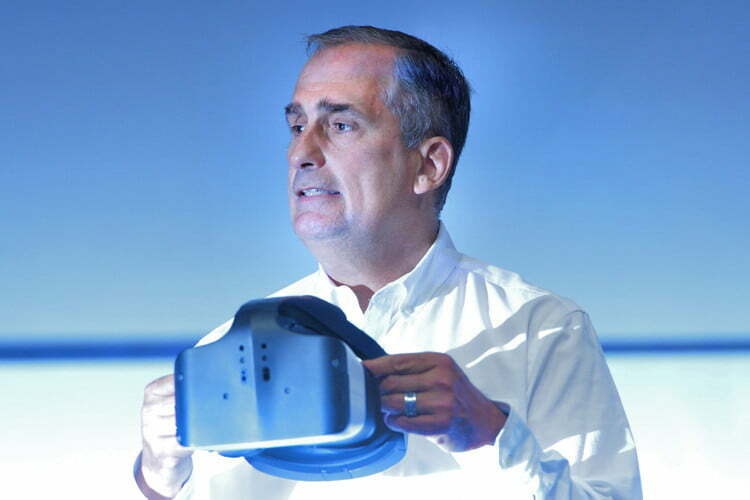 During last year’s Intel Developer Forum opening keynote, company CEO Brian Krzanich revealed the company’s virtual reality project, aka “Project Alloy.” The headset was completely untethered, meaning users could move about freely without cords, and without an additional PC and battery strapped to their back. And now it’s dead. Road to VR reports that Intel has cancelled plans for the device, which was supposed to launch the fourth quarter of this year. The tech conglomerate went on to say that Project Alloy turned out to be a great proof of concept, and showed what could be done with the technology. We tried the first generation version of the headset at CES 2017 and found it to be a bit rough. We were expecting this with such an early model, but the problems hurt the usability of the product. The tracking was the main issue — the headset scans the room to make a map of objects. Unfortunately, it wasn’t very accurate and we found ourselves bumping into things. Project Alloy featured a built-in battery on the backside of the device’s head strap. The only cord that was used during Intel’s keynote presentation was one to project the wearer’s viewpoint onto the big screen for all to see. Project Alloy did not require external sensors, nor did it require controllers for moving and interacting with the environment. 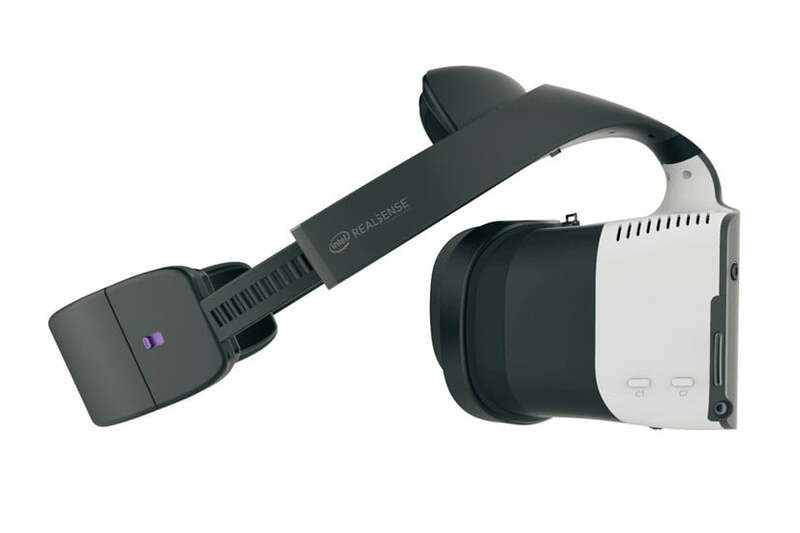 Instead, the headset relied on a pair of Intel RealSense sensors. Wearers had a full six degrees of freedom within the virtual world. The sensors could track every movement, enabling room-scale mobile VR. One sensor mounted on the front could even “scan” real objects and bring them into the virtual realm in real time, such as the wearer’s hand or another person’s head. 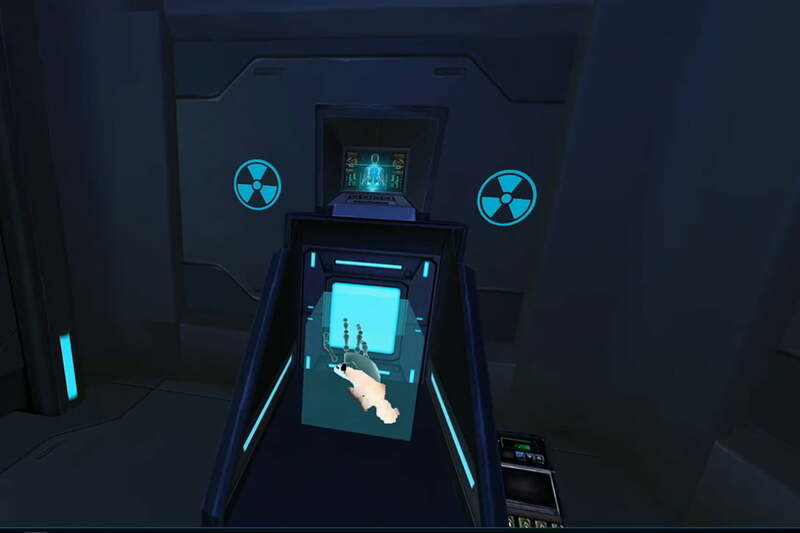 In a demo, the user approached a virtual X-ray machine with his real hand and saw the bones underneath. He then interacted with a virtual switch using his actual hand too. After that, the demo went on to reveal that Project Alloy supported multi-room environments, allowing the wearer to physically walk into the new virtual area. Users aren’t limited to just their hands. The RealSense sensor could bring in any object that can be used to interact with the environment. In the demo, the wearer used a real dollar bill to shave a virtual spinning object. You could actually see the wearer’s hand holding the dollar bill in the virtual realm, not a rendered stand-in. The unit was likely going to see a reduction in size as Intel fine-tuned the components within. The Intel-powered computer resided inside the device. Intel was using Project Alloy to expand upon the foundation established by the Oculus Rift and HTC Vive by mixing the real world with a virtual environment. It was the exact opposite of Microsoft’s HoloLens headset, which projects holograms into the user’s view of the real world. However, Krzanich indicated that Project Alloy would be able to bring the virtual into the real world at some point in the project’s future. Intel’s initial keynote opened up with the possibility of VR becoming so life-like it will be hard to distinguish it from the real world. Update: Added information on Project Alloy’s cancellation and our hands-on experience.